When I was talking to my friend Kayleigh about the party we were having, she suggested that I make these. 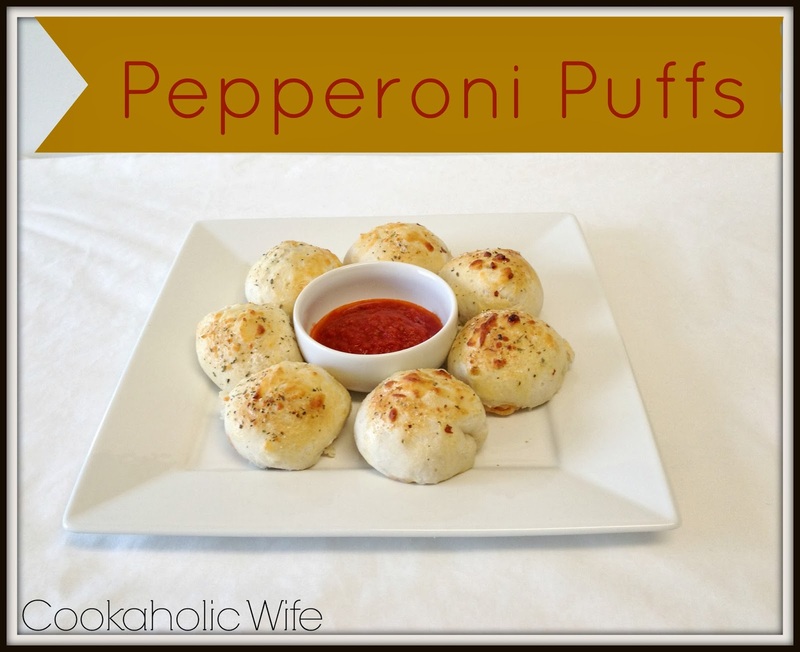 I made something similar before, with these Pepperoni Pizza Sliders. 1. Preheat the oven to 425. Spray a 9×13 dish with non-stick spray. 2. Wrap two pieces of pepperoni around a cheese cube. Flatten a biscuit and place the pepperoni/cheese in the center. Wrap the biscuit around the pepperoni and cheese and pinch the seams shut. Place seam-sized down in the prepared dish. 3. Repeat with remaining biscuits. 4. Brush over the biscuits with the beaten egg, then sprinkle the Parmesan cheese, Italian seasoning and garlic powder over them. 6. Serve with warmed pizza sauce for dipping. These were the first thing to disappear from the table of food. Everyone loved them and most thought the pizza sauce wasn’t even necessary and they were delicious enough on their own. You could easily make this for dinner one night and serve along with a salad for a more balanced meal.